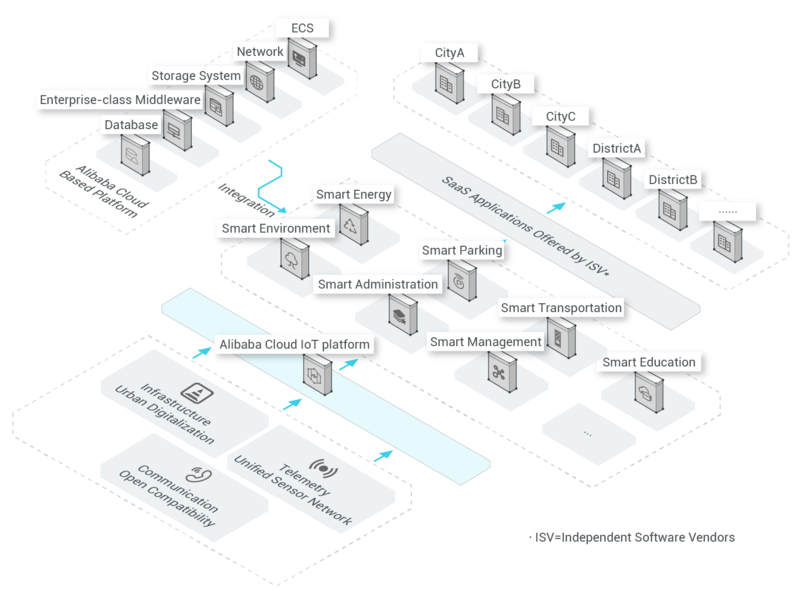 Alibaba Cloud IoT Platform allows IoT companies stable communication between devices and the IoT Platform. Featuring nodes deployed globally, devices around the world can communicate with the IoT platform rapidly and with low latency. Alibaba Cloud IoT Platform also provides various security measures that guarantee individual device security as well as secure communication between devices and the IoT platform. 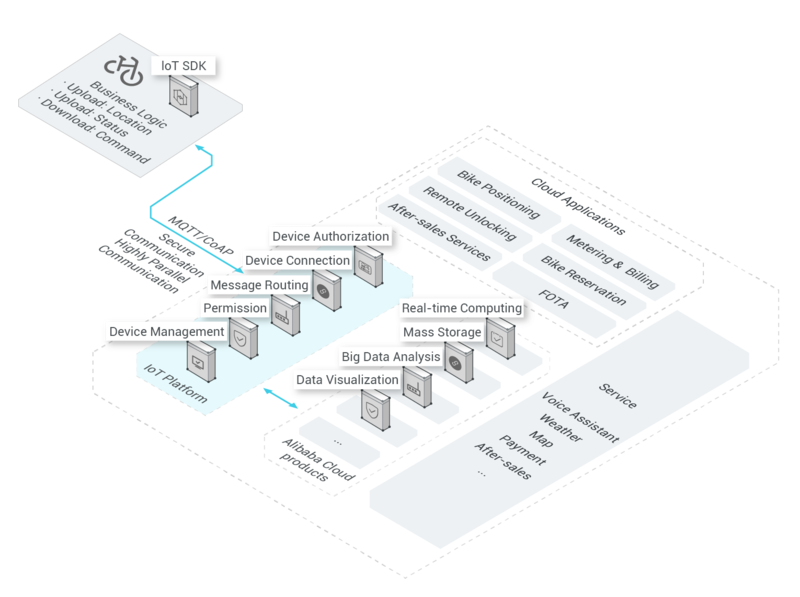 Critical to Alibaba Cloud's IoT Platform is its data storage and processing capabilities which allow for the integration of APIs and other Alibaba Cloud services. 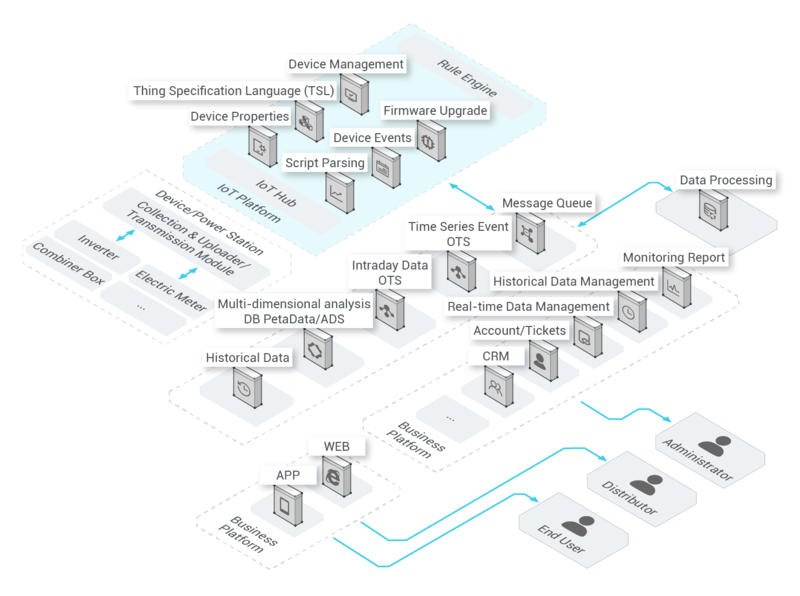 Finally, Alibaba Cloud IoT platform is highly customizable, featuring a rules engine for rapid data collection, storage, and application development. Supports device access worldwide, from a variety of networks and providers that are all based on different protocols. Maintains connections for hundreds of millions of devices, allows millions of devices to communicate with the IoT Platform at the same time, and guarantees 99.9% availability. Device authentication ensures the security and uniqueness of each device, and encrypted communication makes sure your data is not tampered with during transfer. 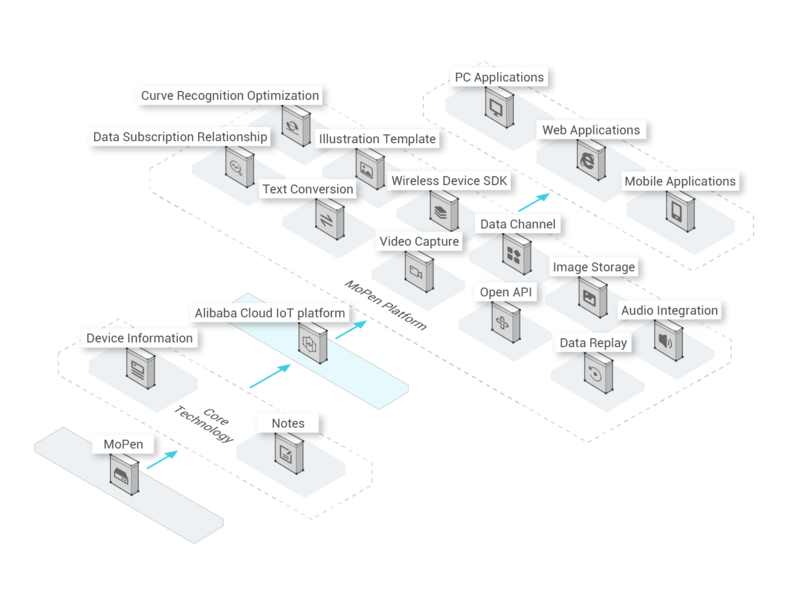 Provides end-to-end device management that allows you to monitor devices in real time and build applications by integrating other Alibaba Cloud services based on the rules engine. Supports device access on different networks, platforms, providers and regions. Supports device access from different network types, such as 2G, 3G, 4G, NB-IoT, and Lora, and allows devices in differnet networks to be connected to IoT Platform. Provides SDKs to enable device access based on different protocols, such as MQTT, CoAP, and HTTP. These protocols allow persistent connections to ensure real-time communication and supports short-lived connections which save power. Supports different languages, such as C, Node.js, and Java, and provides the SDK porting guide to help you port the SDKs to different hardware platforms. Provides stable and secure communication between devices and the IoT Platform. Supports upstream and downstream connections that are both stable and reliable. Device shadow services store device information on IoT Platform which ensures communication reliability when your WLAN is unstable. Provides multiple security features to secure devices. Provides a unique certificate to authenticate each device. This design reduces security risks. Supports TLS transmission to protect the confidentiality and integrity of data. Permission management ensures secure communication between devices and IoT Platform. Allows you to register, delete or disable a device. Allows you to dynamically obtain device information and sends notifications when device settings have changed. Allows you to manage the device permissions for communicating with IoT Platforms. Supports OTA updates to allow remote firmware updates. Performs digital modeling of devices to facilitate application integration. Allows sub-device access and sub-device management. Provides device tags to help you manage a large number of devices. Allows you to integrate with other Alibaba Cloud services and business systems. Allows you to configure custom rules to achieve M2M communication between devices. Allows you to import device data to Alibaba Cloud storage services, such as Table Store, ApsaraDB for RDS, and High-Performance Time Series Database (HiTSDB). Allows you to seamlessly integrate with Alibaba Cloud compute services, such as Function Compute, StreamCompute, and MaxCompute. Allows you to send data to MNS and MQ queues. This feature ensures the reliability of the upstream data collected from devices. Manages a large number of bicycles and provides stable communication between these bicycles and the IoT Platform. The client provides a bicycle-sharing service and manages a large number of bicycles on the IoT Platform to include a real-time and remote bicycle locking. Provides hardware and software integration solutions that ensures a stable connection between the bicycles and the IoT Platform. Supports reliable communication between a large number of bicycles and the IoT Platform, and provides great scalability. Reduces the latency of data transmission and improves the user experience when users unlock bicycles. Provides real-time monitoring of bicycles and their locations so that the client can know the status of bicycles in real time. The client runs a photovoltaic power station and uses the IoT Platform to collect data from inverters and other devices. The data is then processed through ETL process, stored, and then visualized before using machine learning techniques to predict the performance of these devices. Connects the inverters to the IoT Platfrom. Reduces the cost of managment on the IoT Platform. Supports horizontal scaling to meet your business needs. Supports multiple visualization methods for you to view the data results whether on a desktop, browser, or application. IoT Platform supports smart city construction. Integrates data from different sources to build diverse IoT applications and uses data assets to create a smart and secure city. Supports access from multiple networks and connects all kinds of sensors to the IoT Platform. Integrates data generated in different sectors of the city. A standardized development framework supports the quick development of applications that are used in different sectors and scenarios. Handwriting data is collected using the mopen and uploaded to Alibaba Cloud IoT platform. This data is then processed, recognized, and used for live streaming and video production. Students can interact online with the teachers and learn more actively. Supports hundreds of millions of connected devices, and allows millions of devices to concurrently communicate with IoT Platform. Supports low latency message forwarding and remote communication. Supports cost-effective handwriting data transmission and processing.